Jasnoch Construction is nearing completion of the new Heritage Apartments complex on Heritage Drive near Jefferson Road. In an April blog post, I wrote about the new luxury apartment building that Jasnoch Construction was putting up on the southern edge of Northfield. 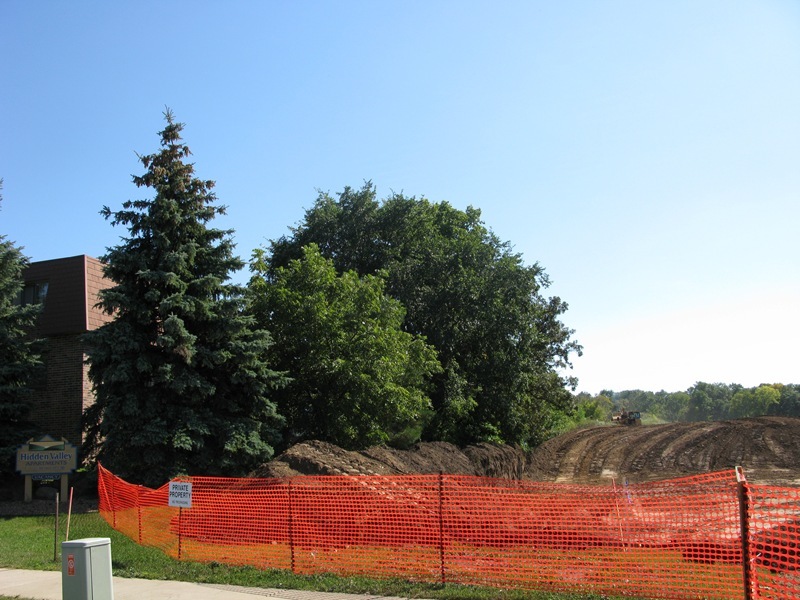 They’re doing some significant landscaping for the project. Here’s a 2.5 minute tour. 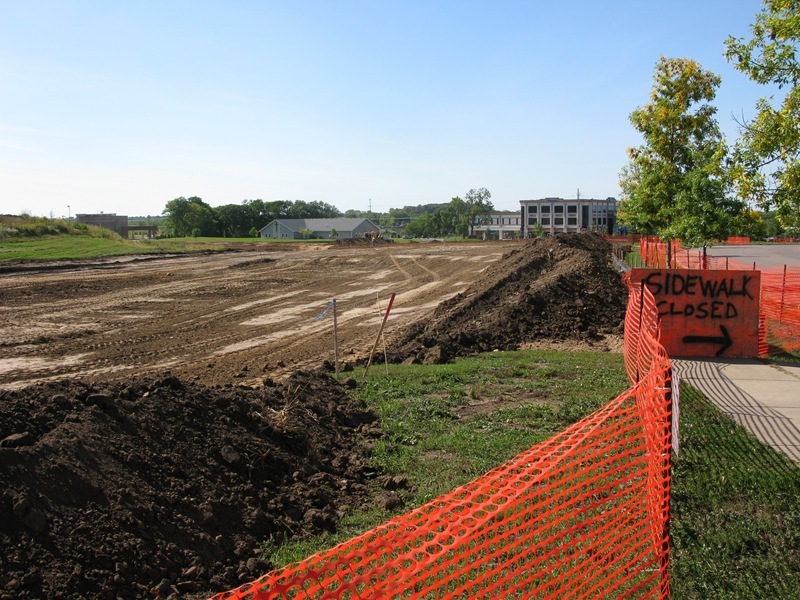 Crews from Enebak Construction Company were doing the grading for stormwater retention ponds and an apartment building last week. Location? The big empty lot across Jefferson Road between Heritage Drive and Honey Locust Drive, adjacent to Hidden Valley Apartments. Jasnoch Construction is the builder, according to a surveyor I talked to.